Orange, E. Orange, W. Orange. 1 : 13200 Haskell, L. S.
Essex County, Left Page Plate: [Part of township of Montclair] / by and under the supervision of Roger H. Pidgeon. Area District Map Section No. 20; Area district map / City of New York, Board of Estimate and Apportionment. Height District Map Section No. 20; Height district map / City of New York, Board of Estimate and Apportionment. Use District Map Section No. 20; Use district map / City of New York, Board of Estimate and Apportionment. General map of the borough of Richmond (Staten Island) in the city of New York : showing in addition to the existing topographical features of the borough a tentative and preliminary plan for a street system of the same. 20B - N.Y. City (Aerial Set). from Sectional aerial maps of the City of New York / [photographed and assembled under the direction of the chief engineer, July 1st, 1924]. 20A - N.Y. City (Aerial Set). from Atlas of the borough of Richmond, city of New York. from Atlas of Staten Island, Richmond County, New York, from official records and surveys; compiled and drawn by F. W. Beers. from Atlas of the city of New York, borough of Richmond, Staten Island. From actual surveys and original plans, by George W. and Walter S. Bromley. Newark, V. 1, Double Page Plate No. 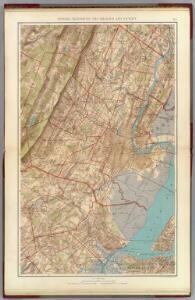 4 [Map bounded by 1st St., Orange St., Newark St., Cabinet St.] / by J.M. Lathrop and L.J.G. Ogden ; assisted by E. Robinson and G.M. Monroe.